Today's guest post is from Hannah Whittenly. Hannah is a freelance writer and mother of two from Sacramento, CA. She enjoys kayaking and reading books by the lake. No matter what profession you choose, there are bound to be different types of people you have to learn how to best interact with. Working in the home healthcare or in-home nursing field you come across a variety people, and having specific approaches to best interact with each can help both you and the client or patient. Clients are individuals, and each have their own unique outlook, style, and needs. That said, the following are four types of clients that you might interact with and tips to help you do so. The Rebels can be an adventure to interact with. These folks might miss appointments without telling you or they may simply avoid listening to your recommendations. My advice is to be direct with them; for example, often, you can start by simply stating that the appoinments and recommendations as part of their care plan are the best ways for them to promote their own health. Because patients are typically going through a lot of life changes in regards to both their health and way of life, it’s understandable that they might not be in their best mindset. Their emotions can run the gammut. The upset patient may be suffering from a chronic illness or an ailment that has stayed around for some time. Their stress could possibly even be from feeling and realizing that they are no longer in control of their own life. It is important that you do not take their emotions personally. Do your best to be compassionate about your patient or client's situation. Try to establish a peaceful environment by showing that you care. 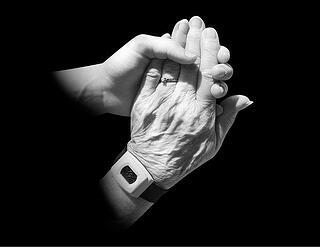 This can be done by engaging in active listening and using a tender voice to appease the upset patient. Great patients are the most common type of patients, but they are a little dangerous for medical professionals. Why? Well, great patients are usually pleasant and warm. It is very easy to get attached to them, which could compromise your objectivity. Keep in mind that objectivity is precious to a medical professional, especially when you need to be honest rather than overly optimistic. Knowing what type of patient you’re dealing with and how to best approach them can be very valuable in any medical career field. Of course, if you already work as a nurse or doctor, you probably already know this. If you have yet to pursue this career path and would be interested in a medical career and working with the various types of patients, you can learn more here. No matter where you go in the healthcare world, learning how to properly interact with patients is crucial. Hopefully, these suggestions have prepared you for that. If done right, it can definitely be one of the most rewarding experiences of your life! 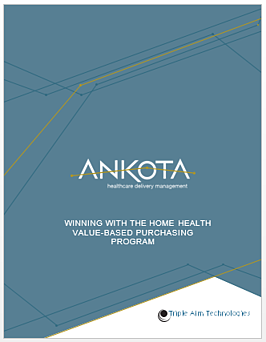 For more food for thought, Ankota has a new e-book available for download called, Winning with the Home Health Value-Based Purchasing Program, that offers further insight on the discussion. Just click the link or the picture beow to download.